“Pino kai metho," one of my favourite Greek folk songs begins: “I drink and get drunk.” There’s plenty of that going on in Greece and, just in case you weren’t sure, it’s not all ouzo. Other local favourites include strong, cheap white wine flavoured with pine resin or grappa heated up with honey. It’s hard to avoid getting drunk. But what about beer? As in most European countries, cold lagers are the order of the day. Popular brands include Mythos, Fix and Alpha – although almost all of the "Greek" beers are, of course, owned by multinationals. However, there is also Vergina, the favourite beer brand of north-eastern Greece. I met its head brewer, Christos Dimtsoudis, in a bar in the small town of Komotini, near to the Vergina brewery. While he makes no claims to working for a microbrewery, Christos had just coordinated the country’s first "brewers’ round table", inviting craft brewers from the region to discuss brewing opportunities and meet with hop and malt distributors. Present that weekend were the brewers from Sknipa, a new brewery setup in Greece’s second city, Thessaloniki. I joined them at their headquarters a couple of weeks later, where they were in the midst of a long brew day. I learned quickly how the country’s economic situation had affected their brewery’s beginnings. In 2015, when the brewery was being built, the government’s intervention on international bank transfers meant Sknipa couldn’t import their brewing equipment for some time. As a result, they finally put out their first beers in 2016. They are one of a score of craft breweries that have opened in the last couple of years. It’s an incredible output for a country that has had the word "austerity" stamped firmly to its economy for a while now. Craft beer began to make an appearance in Greece around a decade ago, with one of the pioneer brewers being Septem Microbrewery, the brainchild of a winemaker convert on the Greek mainland’s east coast. As breweries began to pop up around the country, a critical mass has slowly been reached: I’m told that, by the end of the year, around 40 breweries will be up and running. At the helm of many are former professionals – such as engineers, chemists and economists – who now have fewer opportunities in these fields as a result of the economic situation. That’s not to say that Greek craft beer has come close to reaching its zenith yet, at least in terms of quality. “Greek brewers need to go out of their country and go drinking,” George Alexakis, the barman at Thessaloniki’s esteemed Hoppy Pub, tells me. It’s true they’ll likely have to leave the country to find the best new brews: international craft beer is hard to find here, largely because of an exorbitant import tax on beers. Nevertheless, George was positive: Greek beer is in its "third wave", he reckons, with several gypsy brewers bringing more ambitious creations onto the market. The gypsy brewing trend is not without its controversy. 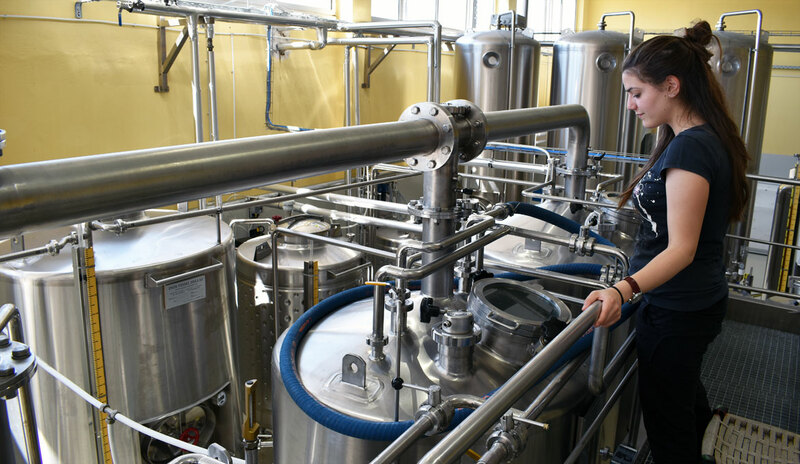 One result of the economic crisis in Greece has been a trend for Greeks to buy local products; craft brewers will be trying to make the most of this. 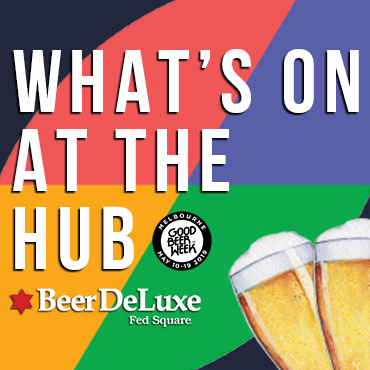 But with some craft breweries promoting themselves as the local option while actually brewing elsewhere, there are some accusations of duplicity. The islands, in particular, breed parochialism, with even sparsely populated islands, such as Samothraki and Ikaria, now setting up their own craft breweries. One brewer confident of creating a quality product on his island home is Lefteris Mesimeris, whose Seven Island Brewery has just gone live. Lefteris is on Corfu, a popular tourist destination with a growing beer culture. One of the first craft beer labels in the country was Corfu Beer and its modest range is available in plenty of tavernas around the isle and elsewhere. But Lefteris reckons there’s much better beer around, and besides, he intends to top it all. Lefteris goes on to explain forthrightly further anomalies of Greek taxation on beer. “The beer is taxed between the conical fermenter and the bright tank,” he says. The government chemist comes and takes a look, and then taxes it as if it will be brewed at 100 percent efficiency. Whatever percentage it falls short of 100 percent is then taxed again, at a higher rate, as if it had been sold. 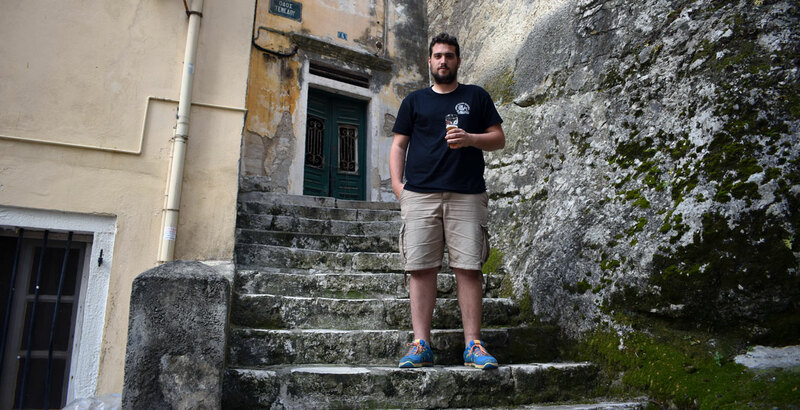 Lefteris Mesimeris of Seven Island Brewery on Corfu. It’s an arrangement that suits the macrobreweries, but provides big challenges for small brewers. “We may be the smallest,” says Annie Zoi of Stala Brewery (whose beers are pictured at the top of this article), in Greece’s mountainous northwest. 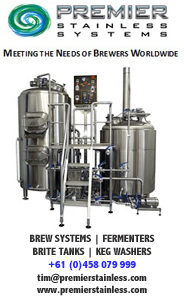 They managed to set up their brewery without taking a loan, custom ordering their brewing equipment from Greek manufacturers. The setup isn’t perfect: they’re looking at replacing some gear already. But they’re relieved that they haven’t had to involve the banks, as economic stability is still a fair way off. A brewery taking another approach is the Solar Microbrewery of Xanthi, a mountain village not far from the Turkish border. The brainchild of Orestis Stefanou, the brewery will make the most of the famous Greek sunshine, using solar energy to power his 2,000 litre brew plant. Spent malt will be used to grow other products on the Xanthi farm: everything from chooks to mushrooms will be provided for in Orestis’s the long-term vision. This is perhaps the utmost challenge for the swathe of new microbreweries in Greece: beer tastes here are still very much stuck on simple, mass-produced lagers, meaning it will likely be a slow process to initiate beer drinkers in the joys of bitterness or sourness. “They like aroma, but they fear it as well,” as one brewer told me about their potential drinkers. Nevertheless, craft beer pubs in Athens and Thessaloniki are packed, and plenty of Greeks are offering their palate robust flavours, such as Noctua’s Black IPA and Solo’s Skotidi imperial stout. Several brewers are also introducing the saison style to Greece, an ideal introduction for summer drinkers. Come winter, new styles will hit Greek bars and kiosks – for example, a collaboration between Sknipa and Seven Island which will be the country’s first barrel aged release. The summer tourist influx should provide ample opportunities for brewers to share their products with plenty of punters too. Greek beer writer Panagiotis Stefanidakis, of Beeroskopio, foresees a beer tour of the Aegean islands. To top this off, Panagiotis says Greek brewers should be thinking about including more native ingredients in their beers. And then? A tireless promoter of Greek craft beer (Beeroskopio is essentially the Greek version of The Crafty Pint), Panagiotis knows that the level of competition in Europe is high, and Greek brewers' standards will need to improve consistently to keep up. Certainly, for a number of the above-mentioned breweries, looking for distribution elsewhere in Europe is the next step. For others, the priority is to get their beer into the local taverna – no easy task, with the big breweries dominating national supply chains. 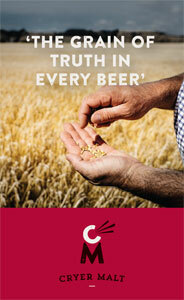 For each Greek microbrewery, though, they have invested in a future that is far from certain. Meraki, I’m told, is the key to it all: an untranslatable word that captures something of the passion and soul that sums up the Greek mode of doing things. The Hoppy Pub (Nikiforou Foka 6, near the White Tower) is pretty much perfect: good small dishes coupled with an excellent range of Greek and European beers. It’s rated 100/100 on Ratebeer. Go. Beer Fabrica (Eptapirgiou 69, Sikies neighbourhood) is a little ways out of town, but is worth the visit – again, you’ll find craft beers from a variety of countries (including Greece) and very good food. The Local Pub (Chaimanta 25, Chalandri) is a Metro ride out of the city centre, but it’s generally regarded to have the best tap and bottle list in Athens. Get down at the Metro station Agia Paraskevi. The Lazy Bulldog (corner of Orfeos and Persefonis streets, near Kerameikos) is an English style pub with plenty of taps (including one for cask ale), covering local and foreign beers. A stroll from the central square. In the pretty Kallithea district, Ale Box (Doiranis 36, Kallithea) is definitely worth a look for homebrewers (and the generally beer curious) as well as having a good range of Greek bottled beer. Crete is your next best bet for a beer visit – the towns of Heraklion, Chania and Rethymno all have beer bars. Santorini, Corfu and Chios each have at least one well known craft brewery, but many smaller islands have small microbreweries that are either new or opening up. 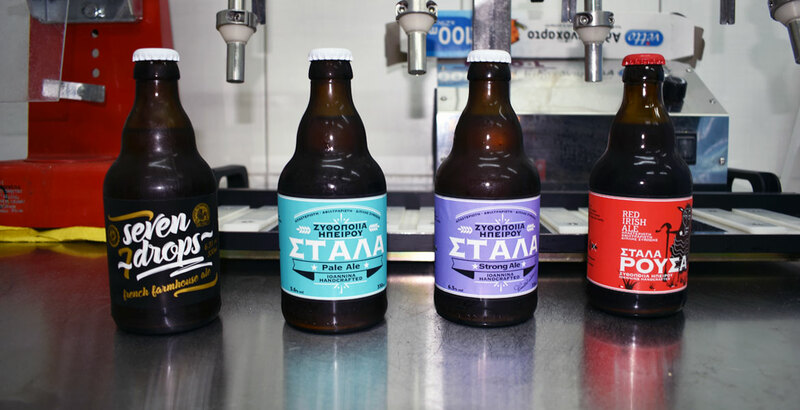 Finding Greek beers can be confusing as brand names often have a second name representing their city or region – such as Stala Brewery, which also goes by Epirus Microbrewery. On the other hand, some of the names are great: for example, a sknipa is a particularly large mozzie native to southern Europe, and "to get sknipa" means to get absolutely shitfaced. You can read other beer travel articles here.